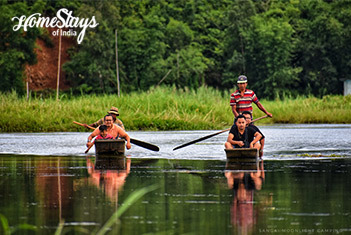 Located approximately 45 km south of the state capital of Manipur – Imphal, Moirang offers an assorted mix of history, culture, wildlife and adventure. A walk through the streets of Moirang gives you a very organic feel and dealing with women vendors selling their exotic food items, handicrafts and intricately woven clothes will remain on your mind for years. 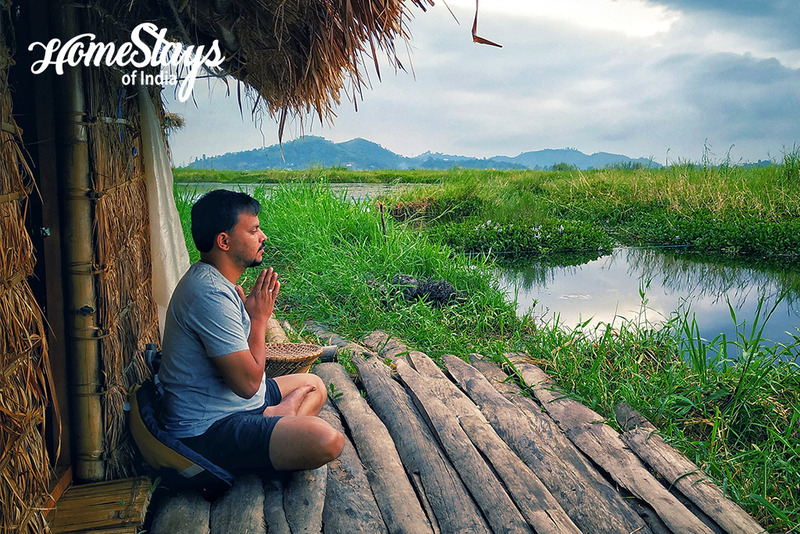 Lush green paddy field swaying to the rhythmic wind, the rolling hillocks testimonial to various battles, the feathered visitors with their wings spread wide and enticing us human about freedom make a true picture of Moirang. 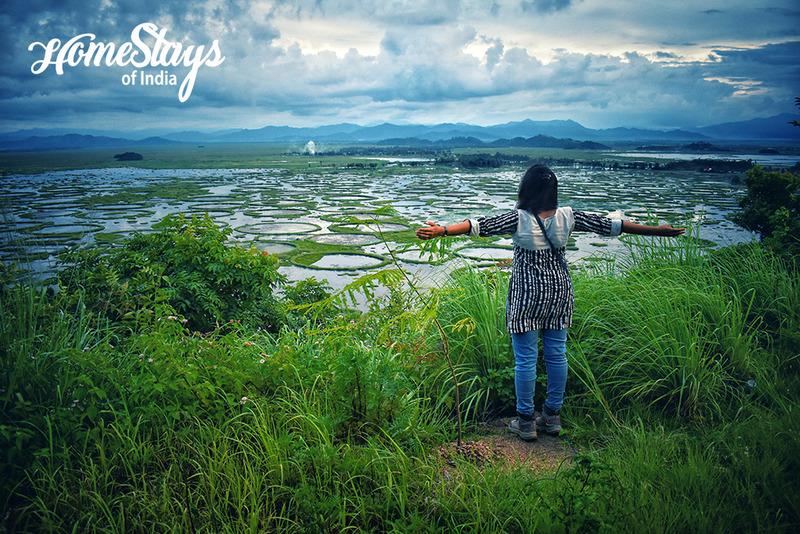 Loktak is the largest freshwater lake in Northeast India is located near Moirang in Manipur state, famous for Phumdis. 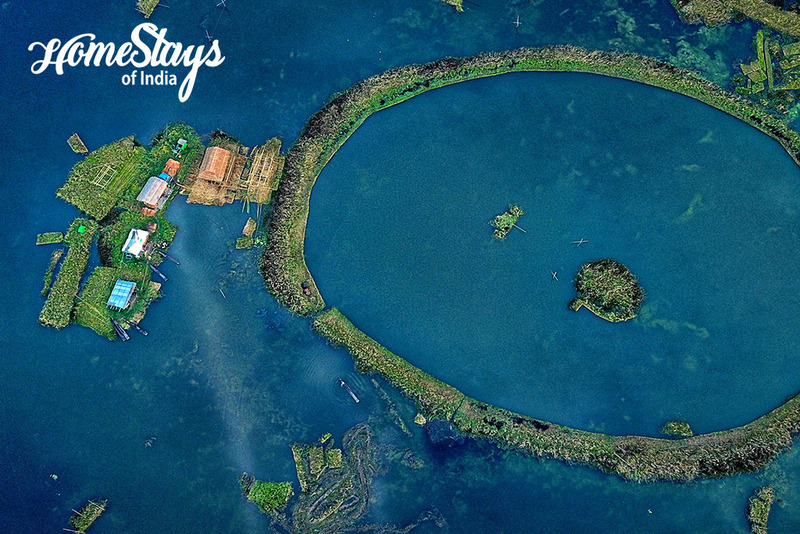 Phumdis are a series of floating islands, exclusive to the Loktak Lake. 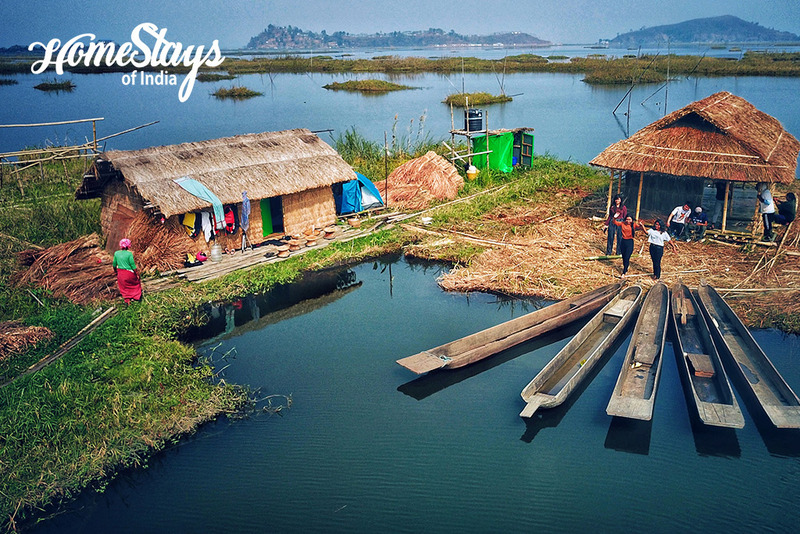 The lake is also the home to world’s only floating park, Keibul Lamjao National Park which is the last natural refuge of the shy and elegant, endangered dancing deear, Sangai (brown-antlered deer). 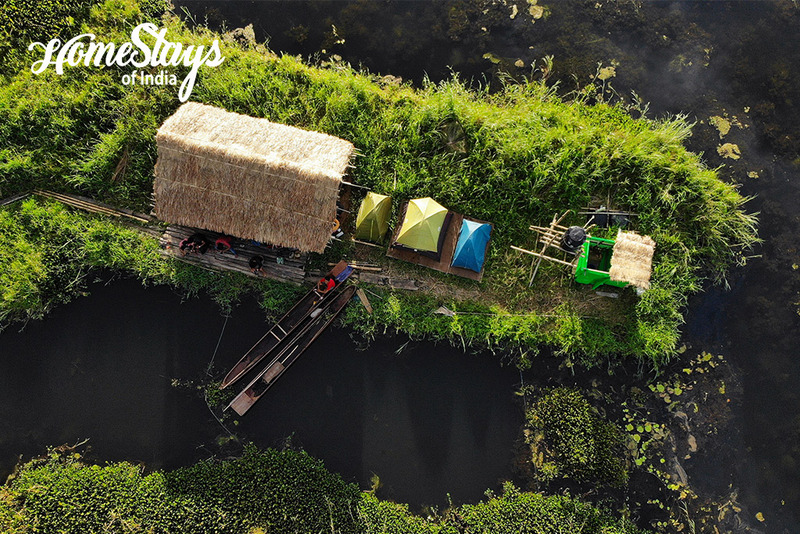 The lake is also a source of livelihood for the rural fishermen who live in the surrounding areas and on phumdis floating in the lake. 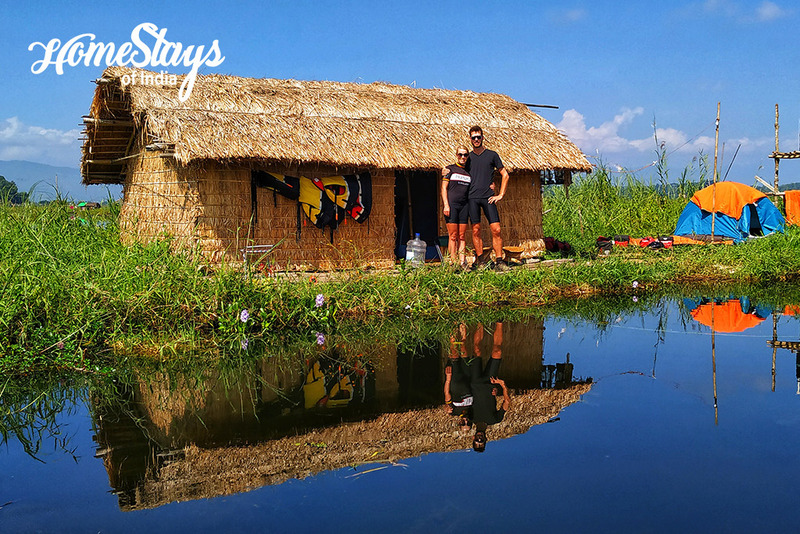 The Loktak Lake Homestay is located in the middle of the Lake. We pick you up and drop back at Moirang Bazar by local boat. 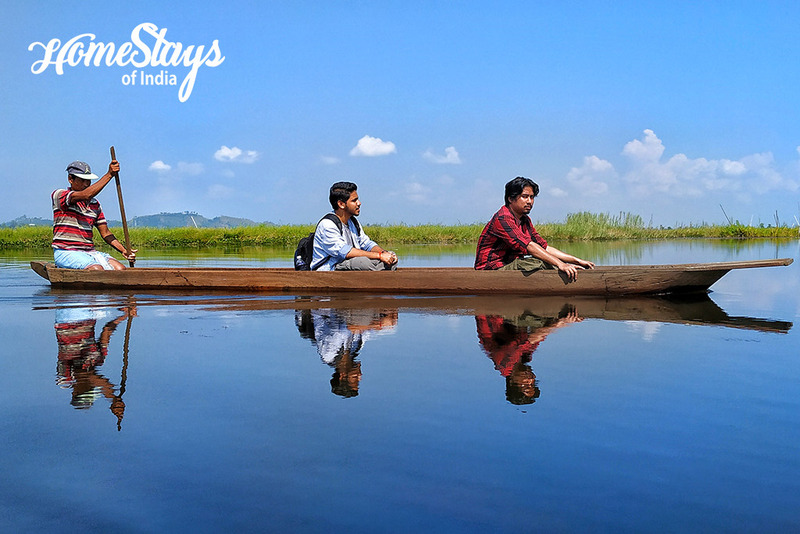 This 2 km (15-20 mnt) journey is an unforgettable experience itself. 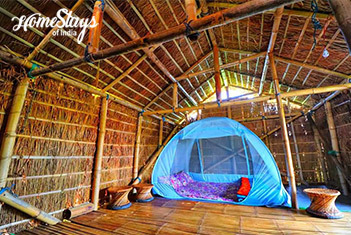 The traditional thatched huts provide a cozy abode for the laid back travelers. We have pitched few tents also for adventure lovers to sleep under stars. Electricity is arranged through battery which will be replaced soon by solar panels. If you love fishing you can try your luck, while your friends cheer you on. 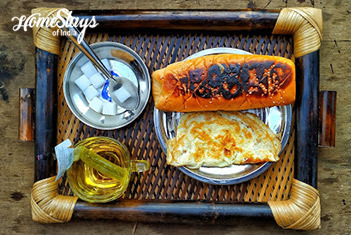 Enjoy the local way of living and savor the lip smacking local meal served in traditional style. 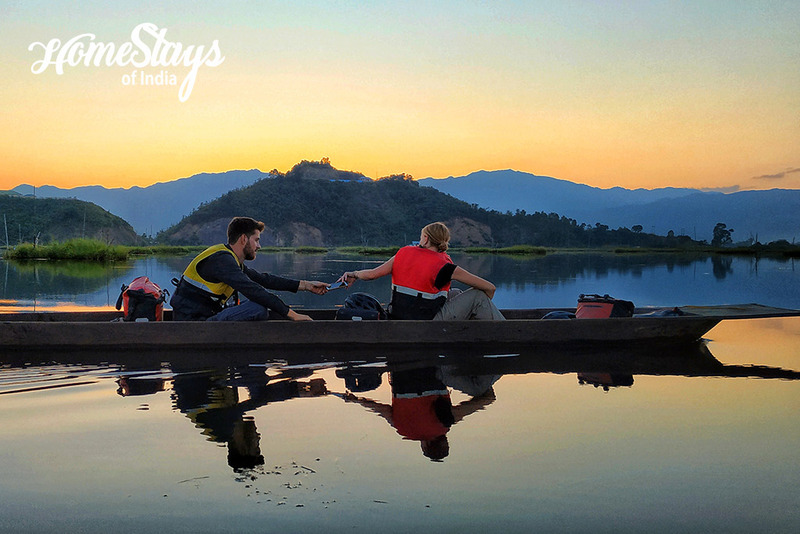 Ashok Samapcha’s is a very warm and friendly local family who works tirelessly on their daily work of catching fishes from the lake and look after their guest. They are fully aware of different type travelers, their choices, and preferences. It’s a very simple, cheerful and helpful family. Oatmeal, Bread Omelette, Paratha, Noodle are basics for breakfast. 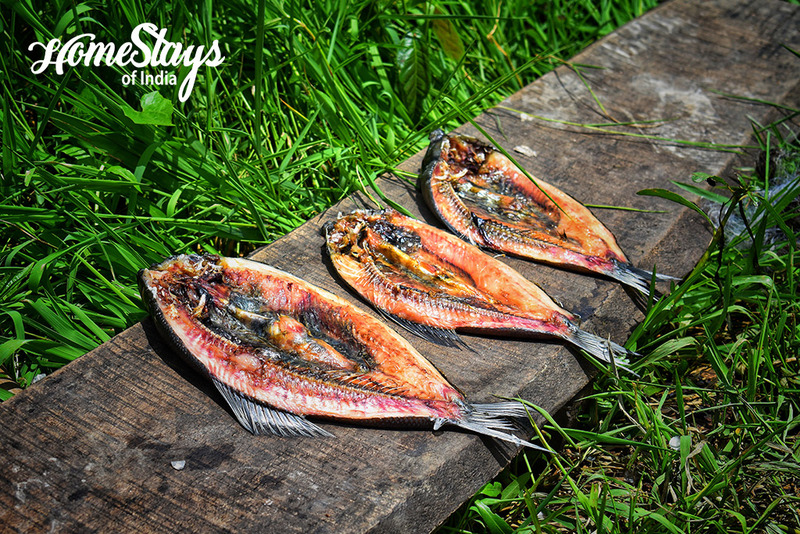 To give our guests a feel of the local cuisine we serve traditional seasonal snacks. Roasted corn cobs smeared with lemon are lip smacking. Rice, Dal, vegetables and salad are normally served for dinner. We are fully aware of different food habits. Non-Veg and traditional cuisines can be prepared on request. Manipur is a place where Gods and Goddesses took to dancing. 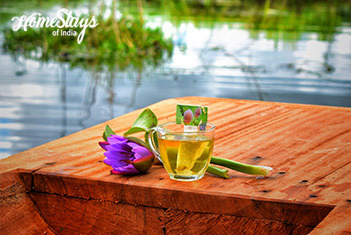 The state celebrates various festivals all round the year. 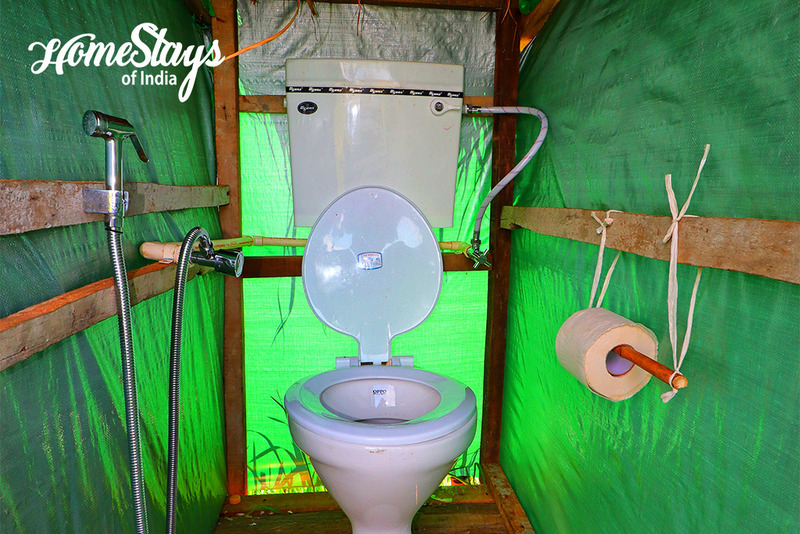 Everyone who is planning for a visit to Manipur should without any doubt spend a night here. 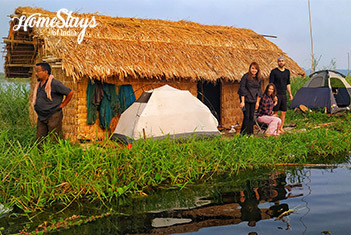 The hospitality , the fresh organic local food, the people , the boat ride , the star gazing part ,etc etc . Everything about this place is just amazing! Will be visiting again very soon.